Proceedings to the 129th VDLUFA congress contain full texts to 88 talks and posters in the fields of agricultural analytics, animal and plant production as well as seed testing. Proceedings are only available in German. Congress proceedings can be downloaded free of charge. At their meeting on the 6th of March 2018 in Osnabrück, VDLUFA sections I and II adopt the amended VDLUFA Standpoint “Fertilization of Phosphorus according to Soil Analysis and Plant Need”. 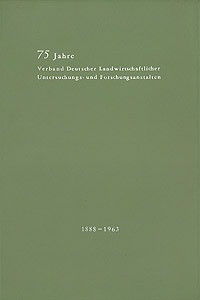 First published in 1997, the VDLUFA Standpoint was evaluated during diverse section and project group meetings. Scientific data from fertilisation trials as well as numerous publications have been considered during the re-evaluation. Based on these findings, target values for content classes A to E in arable and grassland soils were considerably lowered. Furthermore, an adaption to dry sites could be considered. The standpoint is only available in German and can be downloaded free of charge. The workshops address all personnel working in the field of near-infrared-spectroscopy (NIRS). The workshops’ goal is to improve their working procedures with NIRS. When desired, workshops can also be offered for the following software-packages: UCal, Unscrambler, Opus, Grams, Alligator. Further Information about the workshops can be downloaded (see above; in German only). For subscription or for further questions please directly contact the responsible persons at VDLUFA NIRS GmbH. VDLUFA Sections I and II publish the standpoint Requirements on Soil Examination Methods for Determination of Fertiliser Need. The standpoint names the minimum requirements that have to be met by soil examination methodes to use the analytical results for a well-grounded determination of fertiliser demand. Those requirements shall enable farmers to evaluate the precision and informative value of the analytical methods as well as the reliability of fertilisation recommendations based on these analytical results. The standpoint has only been published in German and can be downloaded free of charge on the VDLUFA homepage. 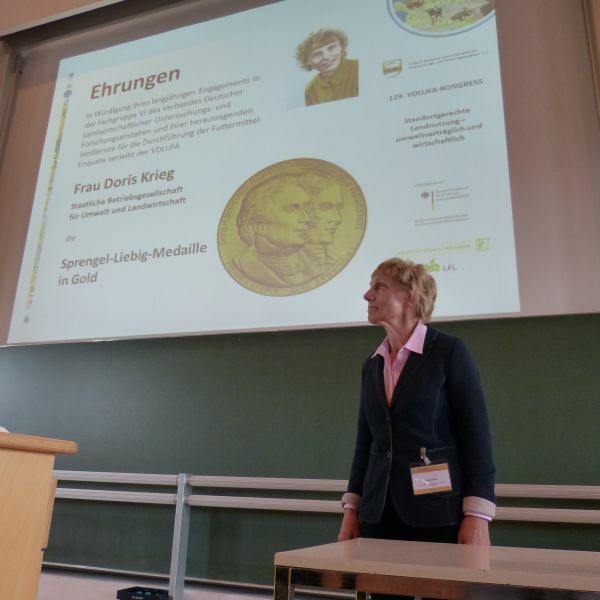 Sprengel-Liebig-Medal in Silver to Günter Müller from the Thüringer Landesanstalt für Landwirtschaft in Jena in honour of his longtime commitment to the VDLUFA section IV ‚seed‘ and his merits for method development and quality assurance in the field of seed analysis. 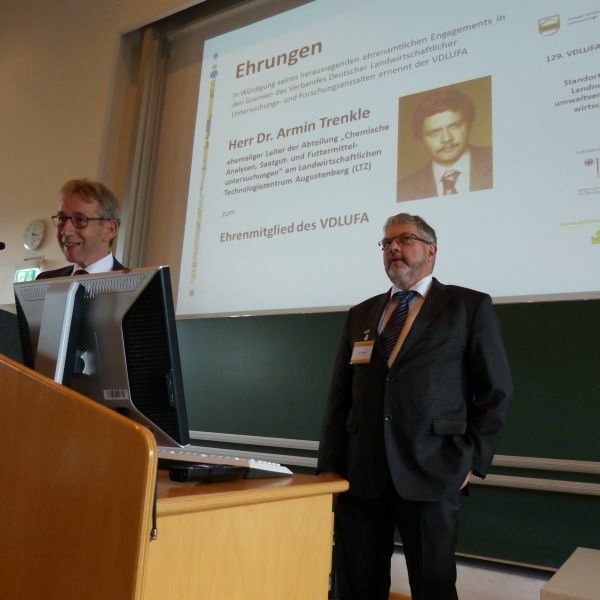 Furthermore, Dr. Armin Trenkle from the Landwirtschaftliches Technologiezentrum Augustenberg in Karlsruhe was awarded the honorary membership in the VDLUFA in honour of his outstanding voluntary commitment in diverse boards of the VDLUFA. 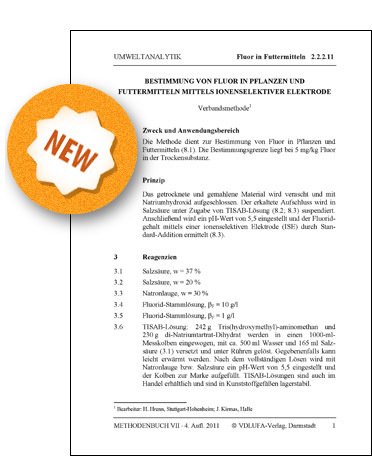 VDLUFA releases the single method 2.2.2.11 “Determination of fluorine in plants and feed using ionselective electrodes” in VDLUFA-methods book VII “Environmental analysis”. The new method provides a procedure for determination of fluorine in plants and feed. For this, the dried and ground materials is combusted and then digested using sodium hydroxide. After cooling down, the chemical extraction is suspended with hydrochloric acid under the addition of TISAB-solution. Subsequently, the solution is adjusted to a pH-value of 5.5. The fluorine content is finally determined using an ionselective electrode and calculated via standard-addition. 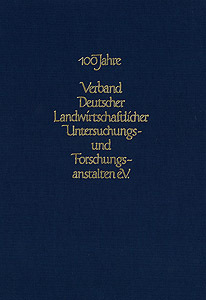 The method (in German only) can be ordered as a single method at VDLUFA office for 17,00 € (+ postal charges) in its printed or electronic version. VDLUFA wants to thank Dr. Holger Hrenn (Universität Hohenheim), Dr. Joachim Bilz and Dr. Joachim Kirmas (Landesanstalt für Landwirtschaft und Gartenbau Sachsen-Anhalt) as well as Dr. Matthias Leiterer (Thüringer Landesanstalt für Landwirtschaft) for their commitment in elaborating this method. These publications provide an insight into the change, but also the stability of the association, its main focus and its external presentation. 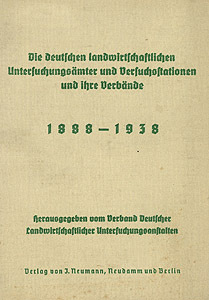 All publications were digitised by the association’s office. And we are pleased, that all volumes can now be downloaded free of charge (only available in german). 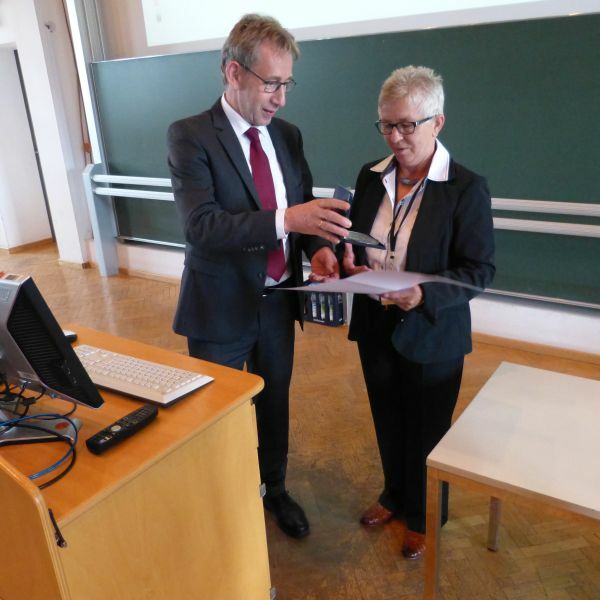 With the topic „Soil, Soil use and Soil protection in Schleswig-Holstein“, this years conference took place from 20-22th Juny 2017 in Rendsburg (Schleswig-Holstein, Germany). The purpose of this meeting was to offer a deeper insight into soil and agricultural characteristics of Schleswig-Holstein. 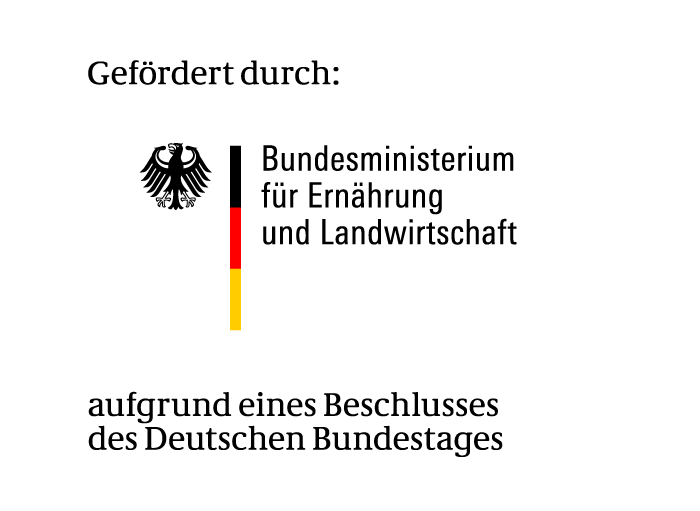 This annual conference, supported by Bundesministerium für Ernährung und Landwirtschaft (BMEL), is held since 1950 with topics referring to problems of the specific Bundesland. Presentations are held on the first day, a field trip is sheduled on the second and the third day is filled with discussions about the main topics. On the field trip the specific site and agricultural developement of Schleswig-Holstein, with a special regard to soil protection, were covered. 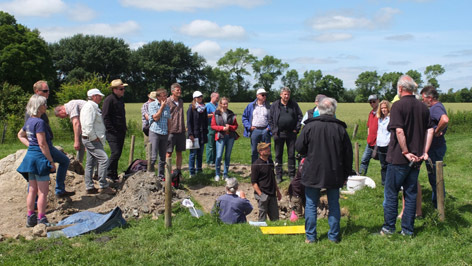 A cabbage cultivating farm (Hillgroven, Norderdithmarschen), two soil profiles at a grassland farm with cattle (St. Annen, Norderdithmarschen) and an intensive-soil- observation-site (Sönke-Nissen-Koog) were visited. Traditionally, on the last day of the congress the internal meeting of the soil experts from all federal states takes place, where current topics of soil protection in Germany are discussed. On 15th and 16th of May 2017, LUFA-directors from Germany and Austria met at Thüringer Landesanstalt für Landwirtschaft in Jena. Main topic of the meeting was the VDLUFA plan of action 2017 to 2019, which has been adopted in autumn 2016. Especially perspectives of the national and international interlaboratory comparisons „VDLUFA Feed Enquete“ and „VDLUFA EU Fertiliser-Ringtest“ were discussed as well as section-intern interlaboratory comparisons. VDLUFA-trainings for technical staff shall be further extended and organised by various LUFA, in the future. The yearly work sheets of all VDLUFA sections were confirmed. LUFA-directors will further support an active professional contribution of their staff in VDLUFA sections, working and project groups by guaranteeing the necessary financial and personal clearance. Thus, VDLUFA should be strengthen in being the nationwide most important network for scientific exchange in the topics of plant pro-duction, animal production and analytics. 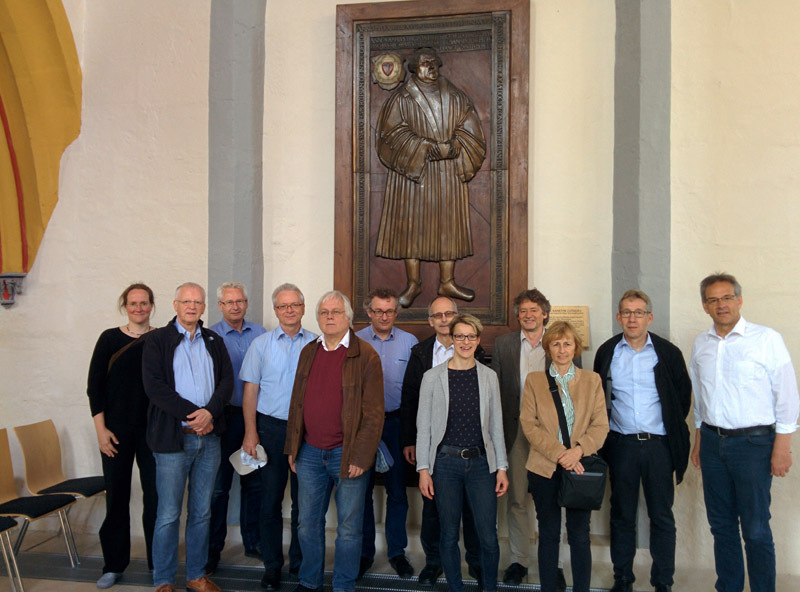 Besides the professional exchange, participants spent time on „500 years of reformation“. The ex-cursion about the time of the reformer Martin Luthers, guided by Prof. Gerhard Jahreis (Friedrich-Schiller-Universität Jena), was educating and entertaining, not only for non-locals. Organised every two years, the international symposium addresses experts in soil and plant analysis. Under the main topic “The Roles of Soil, Plant, Water and Waste Analyses in Food Security and Environmental Quality” the event took place in Beijing and Nanjing (China) in May 2017. Over 200 experts from 22 countries participated. Besides lectures and poster presentations about soil, plant and water analytics, new analytical procedures and laboratory organisation, topics like applied plant nutrition were also discussed. A special focus at this year's symposium was data evaluation of soil and plant analyses and the organisation of agricultural consulting in China. 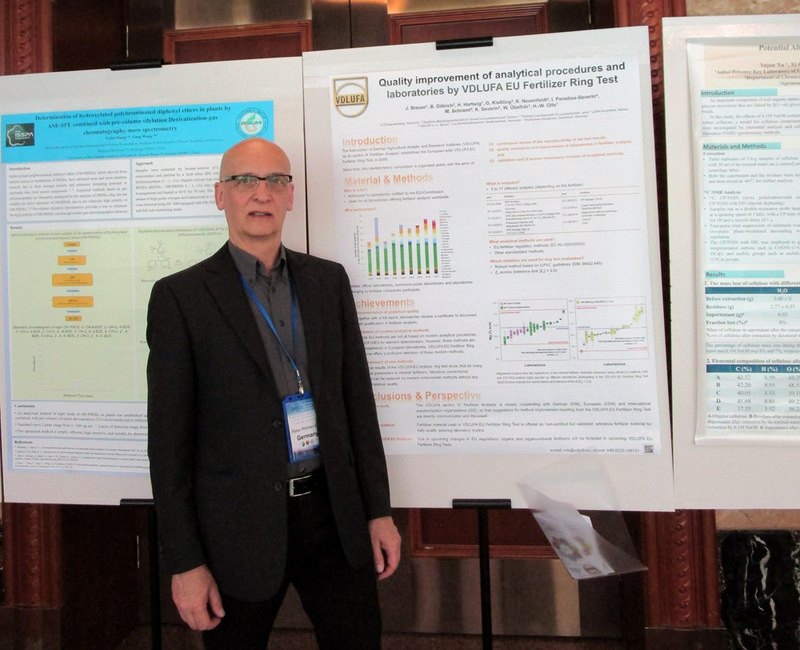 VDLUFA Section III used the opportunity to present the VDLUFA EU-Fertiliser-Ringtest in the form of a poster to an international audience. 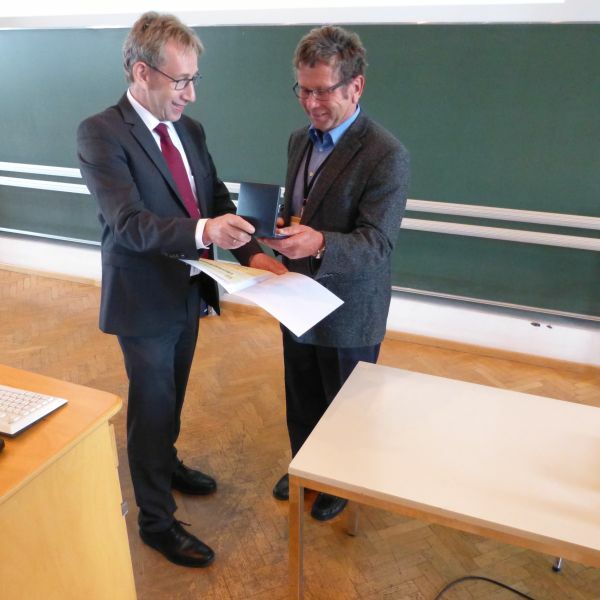 Following the invitation of Dr. Manfred Schuster, VDLUFA section VI held its yearly spring-time meeting from 25th to 26th of April 2017 at the Bavarian State Research Center for Agriculture (LfL) in Grub. 70 experts for feedstuff analysis coming from Germany, Austria and Switzerland attended the meeting, despite the icecold and snowy weather. Main topics at the session were „Changes and trends in legislation for feedstuff in the EU“ presented by Anke Lauche (BVL, Berlin) and „The monitoring program for feedstuff analysis - 2017 to 2021“ by Dahlke (BVL, Berlin). 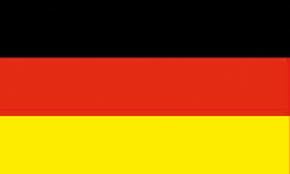 Dr. Christoph von Holst (DG Joint Research Centre, Geel) reported the „News from the EU Reference Laboratory for Feed Additives“ and Hildburg Fry (BfR, Berlin) the „News from the National Reference Laboratory for Additives for Use in Animal Nutrition“. Furthermore, activities of all project and working groups (microbiology, NIRS, mycotoxines, pharmacological effective substances, enzymes, basic feedstuff, PCR analytics, microscopy and methods book III) organised in the VDLUFA section VI were presented. In addition, three microbiological analytical methods were successfully read and passed. They will be published as VDLUFA Association Methods within the coming weeks. The meeting was rounded off by a visit to the Munich Beer and Octoberfest-Museum and its „Museumsstüberl“ as well as by a guided tour through Munich and a convivial gathering at the „Augustiner Keller München“. 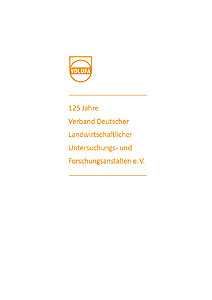 Association of German Agricultural Analytic and Research Institutes (VDLUFA) e. V.